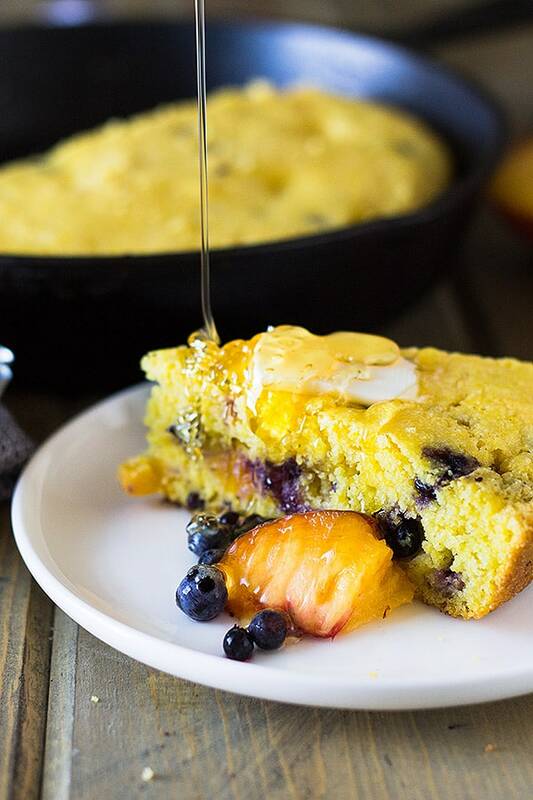 Blueberry Peach Cornbread made with buttermilk, studded with fresh blueberries and peaches will be your new favorite breakfast treat! Oh do I have a treat for you guys! 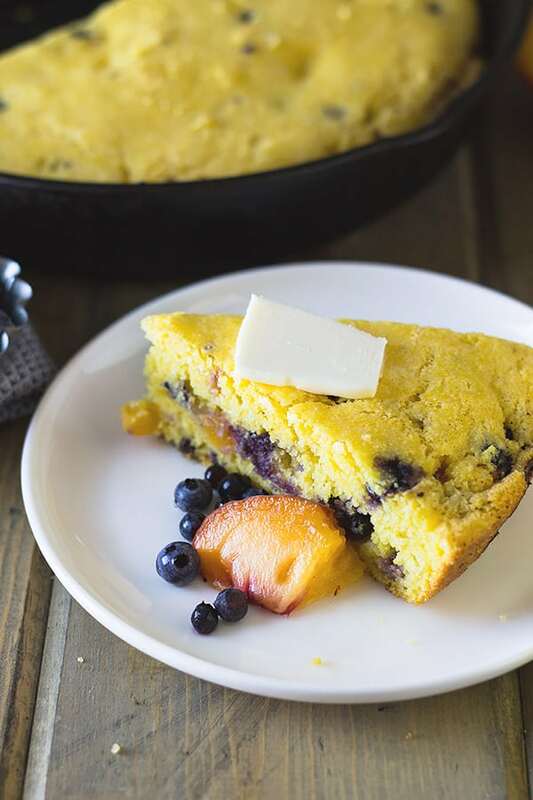 This blueberry peach cornbread has become a favorite breakfast and for good reason! 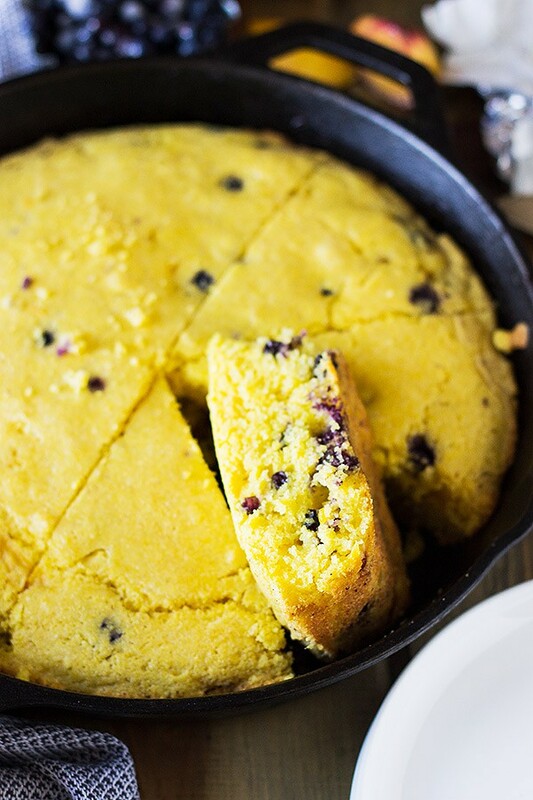 If you haven’t experienced the flavor of corn with blueberries you need to change that now! I’m tellin ya they were made for each other. Then I decided to throw in some fresh peaches and this took it to a whole new level! I realize I have probably broken every cornbread rule with this recipe. For starters I added in fruit, obviously. Second, I used sugar in my cornbread- oh well I wanted it to be slightly sweet. And third I used butter instead of bacon grease in my skillet. Hey at least I am using a cast iron skillet. Our neighbors gave us a bag of their freshly picked wild blueberries and this was a first for me. I never knew how different they tasted and I instantly fell in love. 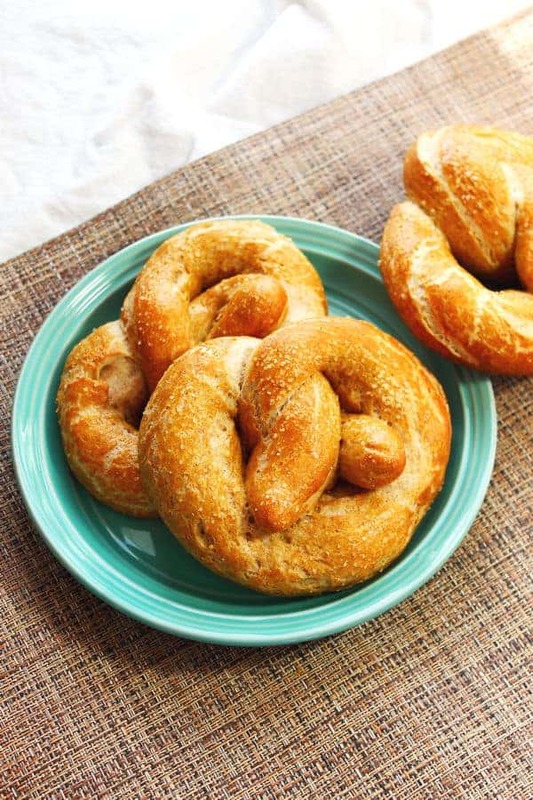 They are smaller in size, sweeter and have more flavor. They were like little pockets of jam in this cornbread! So, no matter how many cornbread rules this breaks you need to make this! Oh and if you don’t have a cast iron skillet be a rebel and break that last rule by making it in a 9×9 baking pan. I dare ya! Blueberry Peach Cornbread made with buttermilk and studded with fresh blueberries and peaches will soon become a favorite breakfast treat! Preheat oven to 400 degrees F. Place 1 tablespoon of butter in a 10 inch cast iron skillet and place in the oven while preheating. Or use a 9x9 pan lightly greased (don't place in oven while preheating). In a large bowl combine the cornmeal, flour, sugar, baking powder and salt. Add in the buttermilk, eggs and melted butter. Stir until almost combined and add in the blueberries and peaches. Gently stir just until combined. 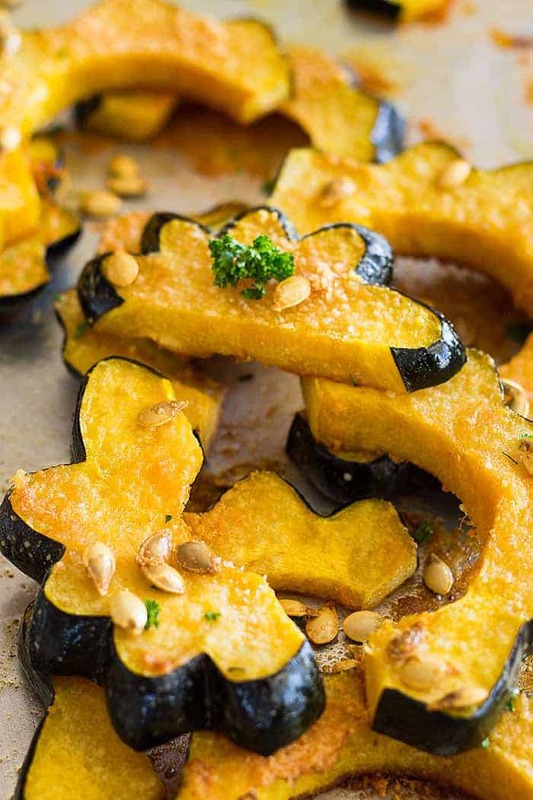 Spoon into hot skillet or prepared baking pan. Bake for 20-25 minutes or until toothpick inserted in center comes out clean. This looks so tasty! I’m always putting peaches and blueberries together in recipes, though I make it even easier by not bothering to peel the peaches. But I never tried them with cornbread and now I want some. 🙂 And, not being Southerner, I break all the cornbread rules all the time. I won’t tell on you. It’s fun to break the rules sometimes 🙂 Thanks, Annemarie!! 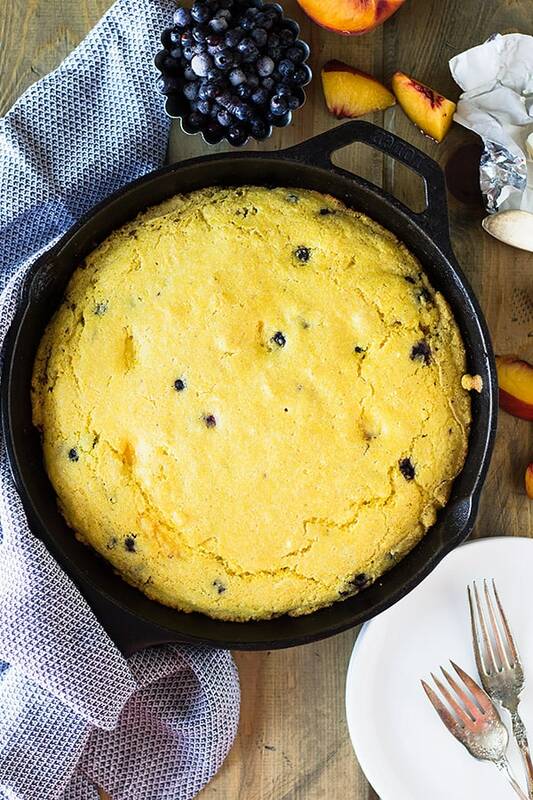 I’ve had cornbread with blueberries and it’s amazing…but adding peaches!?! What!?! You’ve raised the bar. Yes you really need to try it with the peaches, sooo goood!! Thanks! !